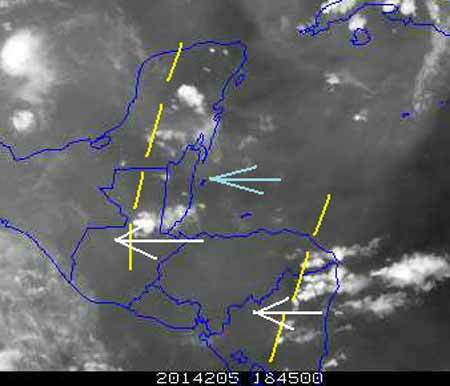 Belize NMS: Generally good weather is expected today and tonight, followed by an increase in moisture tomorrow. 24-hour forecast: Sunny with cloudy spells today and partly cloudy tonight. Showers and thunderstorms will be generally isolated with a bit more in the north. Today: Winds: East 5-15 kts. Seas: Light chop - choppy. Waves: 2-4 ft. Isolated showers or thunderstorms with a few more in the north this morning. Tomorrow: Winds: East 10-20 kts. Seas: Choppy - moderate. Waves: 3-6 ft. A few showers and isolated thunderstorms. Marine Outlook: (Friday night) Winds: East 10-20 kts. Seas: Choppy - moderate. Waves: 3-6 ft. A few showers and thunderstorms. General Outlook: For Friday and Friday night is for some cloudy spells with a few showers and thunderstorms across the country. 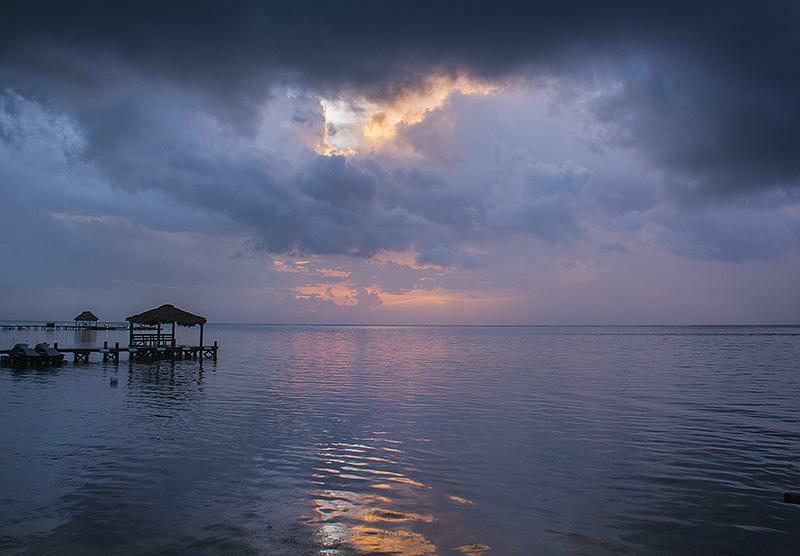 On Ambergris Caye this morning early morning thunder showers have cleared and exposed a sunny day. The expected high is 88 and the sea is calm. Radar still not working, despite 3 e-mails sent to them, but their below Weather forecast is up to date. 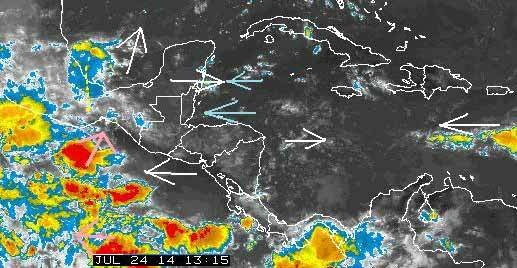 Looks to me as if there has been some rain over Belize, mainly in the north, but not much more expected today. Generally a sunny day with some cloud. . . . I hope significant cloud, going to complete some heavy mowing we started on Tuesday, which overdue for over 2 weeks, so heavy going.. . .But we might not see much cloud, at least this morning. The Belize Met Office have now advised me that they has a lightning strike that took out much of their service. Hopefully will be up and running soon. There appears to be two fronts moving in. .. The first may have caused rain in southern Belize. . . .The other one might arrive tonight or tomorrow. .. .Lets hope it brings some much needed rain.